"What's the BIG color this season?" "Can I still wear my ___________?" "What trends are the most relevant?" I can't get enough of this look. So far I have purchased two sleeveless tanks, one rose the other wedgewood blue, a wine colored jumpsuit and another sleeveless top in a burnt out floral pattern. 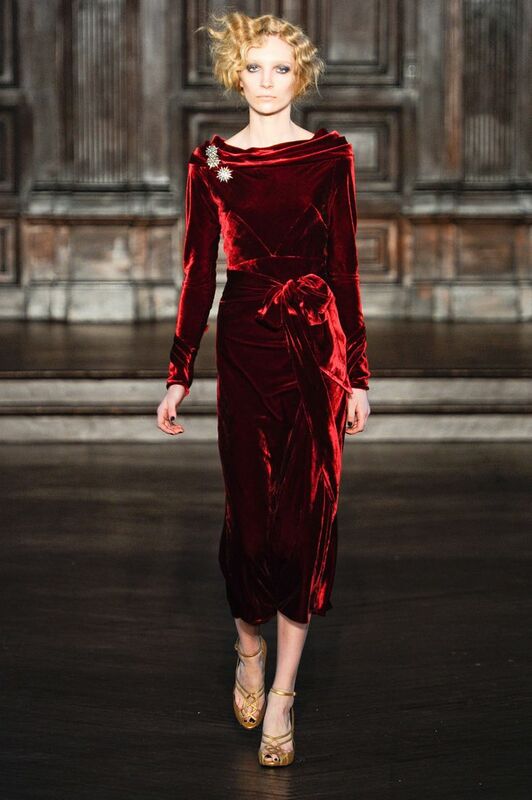 Use velvet as a rich textural component when putting together your cool weather looks, dressy or casual. Most of you probably mini barfed at the idea but YES, your grandmother's sofa flowers are now all the rage. Look for trend forward patterns in bell bottom pants, pencil skirts, tunic dresses, coats and more. At the risk of having too much of this trend, I now have two pairs of jeans, over the knee boots, ankle high boots and a bomber jacket that all have embroidery. You can find cool pieces anywhere from Target to Neimans. Buy some. This trend is a keeper. RED is "the" color. Fun FUR. Fringe is still IN. BROWN is the new black. One shoulder and cold shoulder still living large. 70's plaid. Fish net accents. Victorian collars. I welcome the change of seasons. I am a BIG fan of Fall and Winter fashion. There is a lot to play with now that the weather has changed. Don't play it safe (boring), dive in and enjoy the FUN! Welcome to my blog. Why? Why should this be important to your already oversaturated life? In a world where everyone seems to be an expert at everything, I just know what has worked for me. My friends have enjoyed my suggestions about fashion, food, lifestyle, music and everyday coping. I'm super excited to share stories with you about living a life that should be full of passionate love, continuing health, inspiring music, festive beverages, orgasmic food and opportunities to grow no matter how young or old you are. I'm a pretty edgy gal so be prepared to experience things that will make you laugh, cry and contemplate. "Just Call Kara" isn't about my claim to know everything but my willingness to share the GOOD, BAD and the UGLY. Thank you for signing up! I can't wait for you to see all of the exciting things happening at Just Call Kara!